Your commute home from work can be long and tiring, and you probably can’t wait to get back for dinner and to wind down for the evening. If you dread the journey home, then it’s time to do something about it. 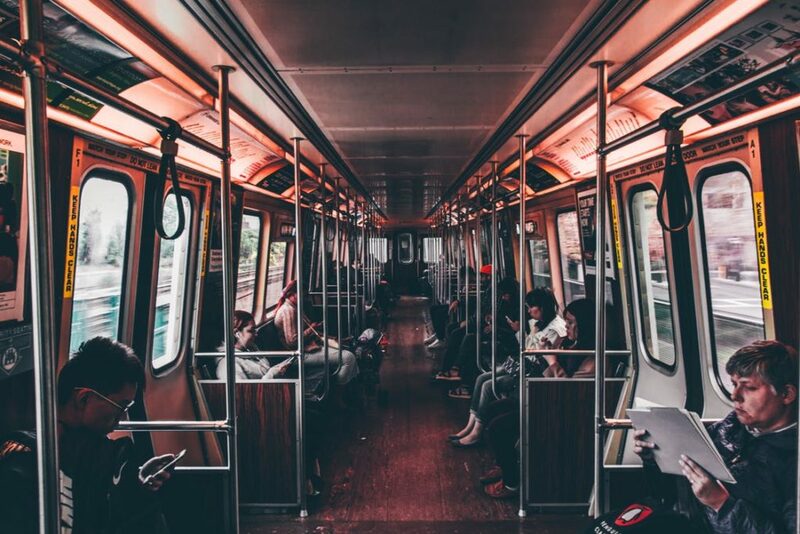 If you learn how to stay calm and relaxed in stressful situations, then you’ll be well prepared for whatever the commute might throw at you. Your commute doesn’t need to be so stress-inducing if you know how best to keep a cool head and let your mind unwind after the working day. Before you even board public transport, you should be thinking of ways in which you can help yourself before this potentially demanding journey begins. When you’re preparing to try and wind down, you don’t want to engage your mind in anything too strenuous. Now isn’t the time to begin crafting an email to work or planning tomorrow’s office meeting schedule. Instead, start the work you have to do once you’re comfortable at home. Some simple crosswords will suffice to begin decreasing your stress levels, so think about getting either a small book of crosswords and Sudoku or downloading some simple games on to your phone. You could try playing online card games such as solitaire, or visiting Unibet and playing some strategic puzzles. Stress creates agitation within your mind and body. This agitation is difficult to shift once it has taken hold. When you feel agitated, your senses are heightened, and you’ll be unable to relax. Meditation encourages your mind to calm down and helps to regulate your breathing. If you’re unsure as to where to start, then look online and go along to your nearest class. Sitting quietly and breathing deeply and steadily encourages your nervous system to wind down, and doing so should assist in decreasing any anxiety you’re feeling. You can only benefit by learning how to soothe yourself, so give meditation a go and implement some simple breathing techniques when you need them. Good hydration is important for your health. Staying hydrated improves your levels of concentration and your ability to focus. You should be drinking two liters of water a day. These two liters shouldn’t include fizzy drinks, tea, or coffee as substitutes. If you’re dehydrated, then you’re going to feel unwell, and you’ll be more susceptible to irritability. It is thought that around 80% of your brain tissue is water, so it makes sense to replenish your water levels and stay hydrated throughout the day. Make sure that you’ve had at least a glass of water before you begin your commute home. As well as keeping you hydrated, drinking fluids will encourage you to pass toxins out of your body quickly. There’s no doubt about it, slow and peaceful music helps to reduce stress. Slow classical pieces are also believed to help you sleep as it encourages your brain to relax. As you leave the office, think about putting on some noise-canceling headphones and listening to some classical music.